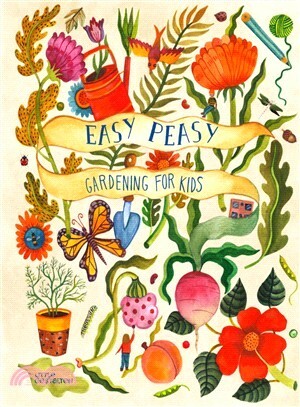 An introduction to easy gardening so you can grow everywhere and anywhere.Whether you live in the city or the countryside, there are plenty of places you can plant and grow. For a new generation of green fingers there are different ways to bring nature into the home. Make your own pots, build balcony boxes, create your own bird feeders and even get friendly with worms! Each activity has been carefully chosen to create living, renewable and sustainable environments for kids and their families. Each activity has been carefully written by Kirsten Bradley, a leading practitioner in permaculture for kids and co-founder of Milkwood permaculture farm in Australia. The simple steps and beautiful spot illustrations make activities fun and easy to follow. The book will also feature non-activity spreads explaining the importance of why and how nature works. Illustrated by Aitch, a Romanian artist whose folkloric illustrations pay homage to vintage botanical books while giving each page a sense of modern magic.